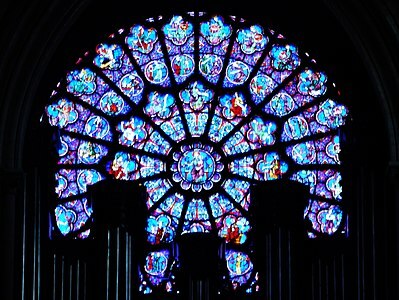 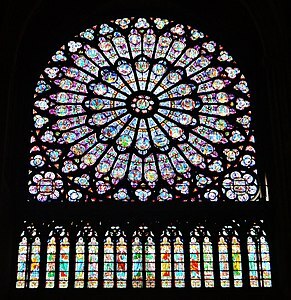 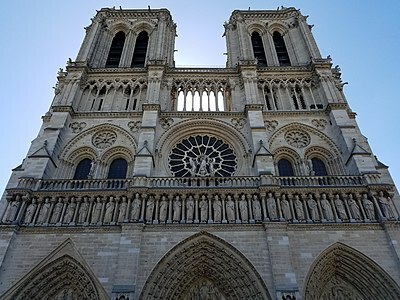 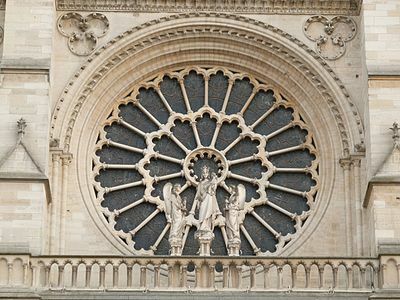 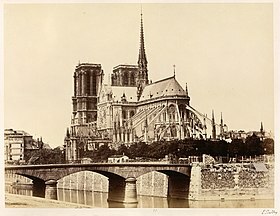 Firefighters were able to save the façade, towers, walls, buttresses, and stained glass windows. 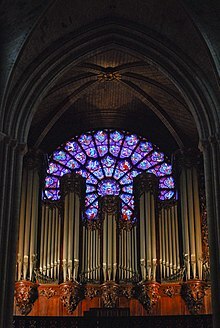 The great organ was also saved but sustained water damage. 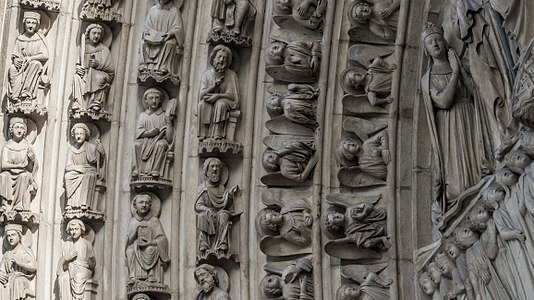 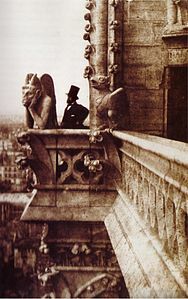 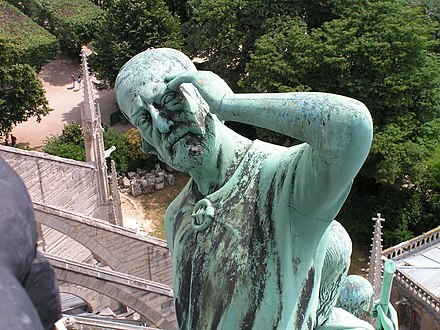 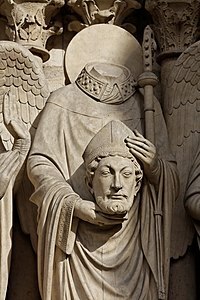 Statues on the spire had been removed for cleaning and relics were rescued during the fire, but sections of the stone ceiling collapsed. 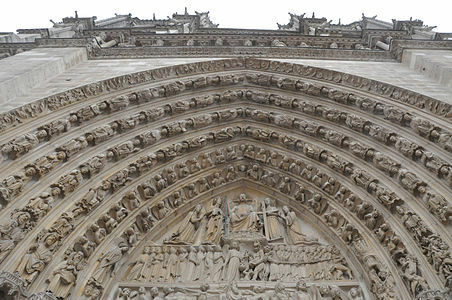 First investigations indicated that the structure remained essentially sound. 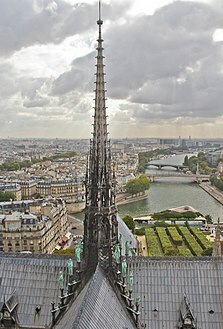 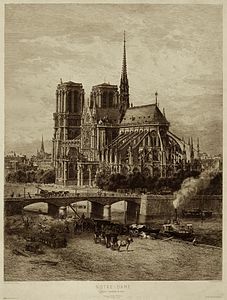 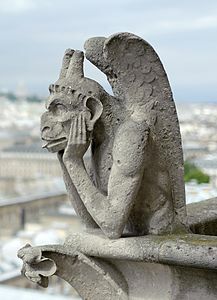 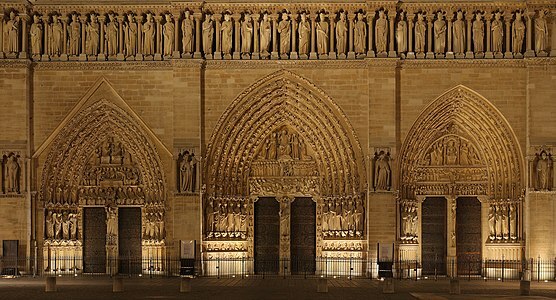 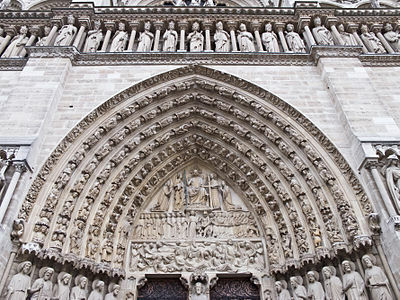 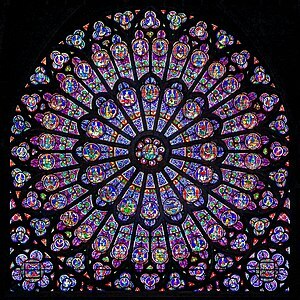 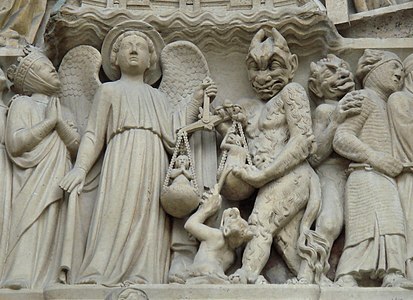 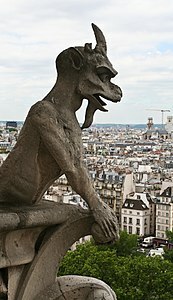 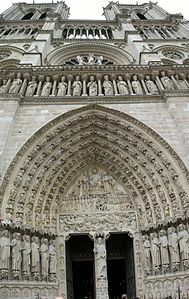 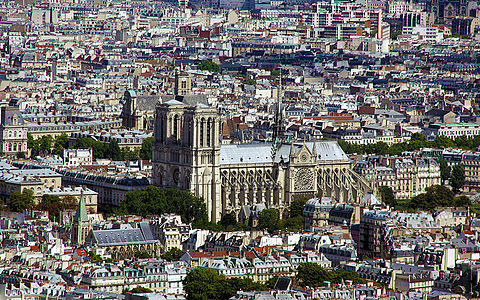 French President Emmanuel Macron vowed that Notre-Dame would be restored, and called for the work to be completed within five years. 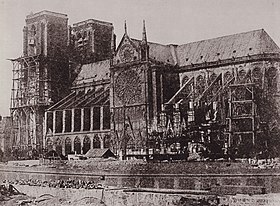 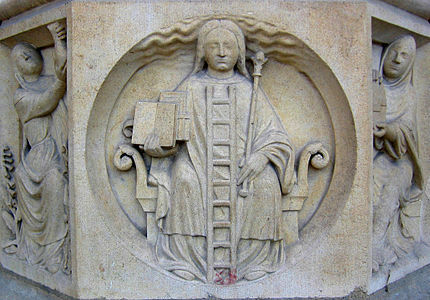 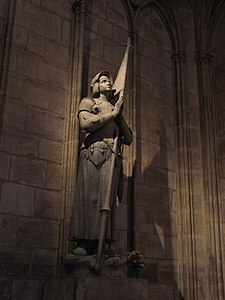 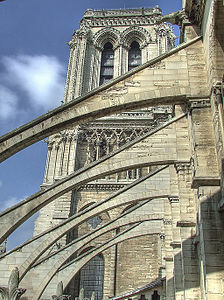 Many artifacts were saved before the fire spread to other parts of the cathedral. 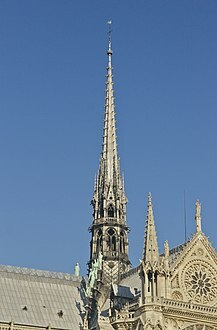 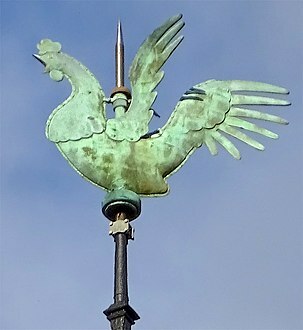 Because of the ongoing renovation, the copper statues that were normally on the now collapsed spire had been removed from the building a week prior. 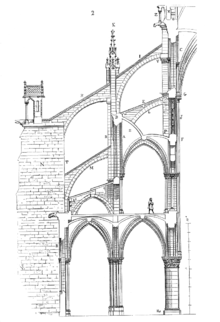 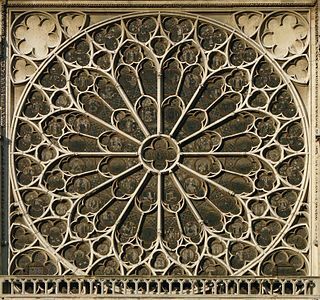 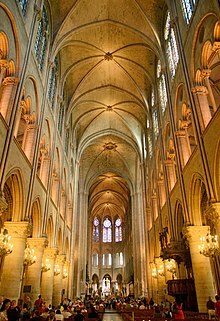 The stone vaulting that forms the ceiling of the cathedral had three holes, but otherwise remained largely intact, preventing the burning timbers from falling into the building below. 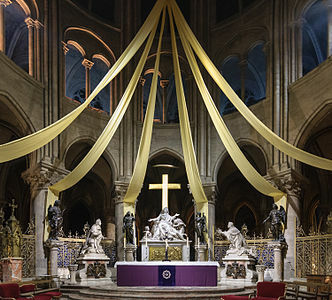 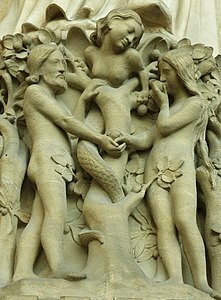 This page was last edited on 21 April 2019, at 22:01 (UTC).